100 S., 14,8×21., HC., Buch + CD! 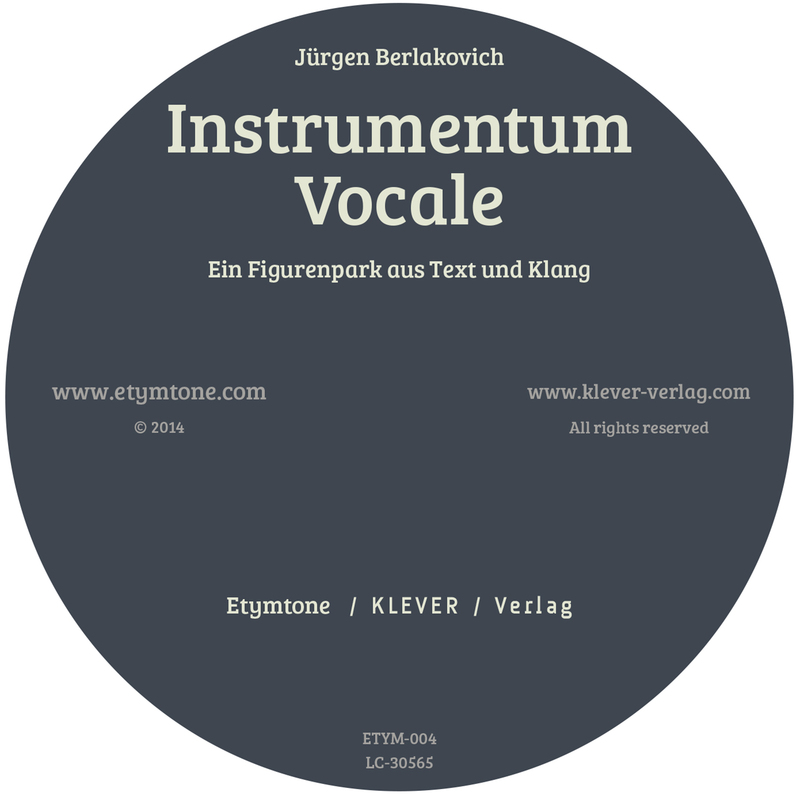 INSTRUMENTUM VOCALE is a collection of text- and sound figures written and composed by Juergen Berlakovich. The sound figures were entirely composed and produced by using granulated voices taken from radio, TV or the internet. No other samples or instruments were used. 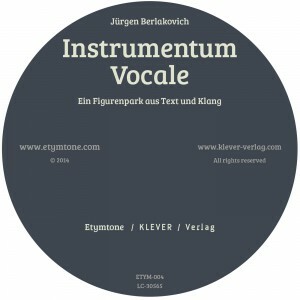 The whole collection, consisting of fourty text- and sound figures has been published as a book with CD by Klever Verlag under the title „INSTRUMENTUM VOCALE. Ein Figurenpark aus Text und Klang“ in 2014. Additionally, the soundfigures are also available as a digital album on ETYMTONE.